I got these adorable prescription sunglasses for a grand total of $19.85. Thank you Zenni Optical! I’ve gone through glasses and glasses nearly every year or two years, and my prescription has gotten worse and worse each time. With making so many changes to my insurance, every new optometrist meant another eye examination and the horrifying reality that my prescription has changed yet again. I’ve been in need of sunglasses due to how bright southern California can get, but since I have chronic dry-eye I can’t wear contacts very often. I was recommended to get Transition lenses or prescription sunglasses, but through my insurance, I was looking at at least $150 out-of-pocket. Yeah, nope. 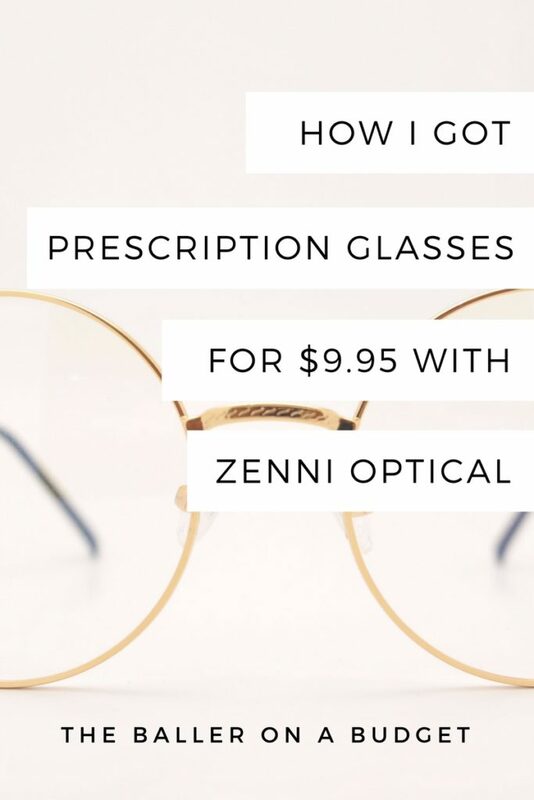 A friend of mine recommended that I try buying some prescription sunglasses through Zenni Optical, as she said she got a pair for around $15. That price point sounded perfect for me, since you know, I’m incredibly cheap and all. I decided to take the risk and purchased a pair, all while telling myself that if this purchase went south I would just keep the glasses in my car for driving purposes only. 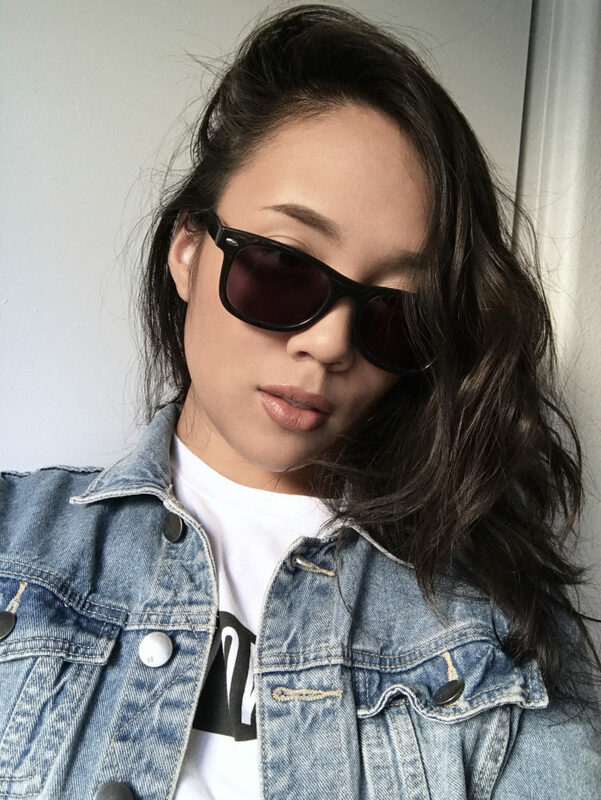 The cool thing about Zenni Optical: Any frame can be turned into sunglasses! You can customize your glasses by adding a variety of tint and even have the option of getting Transition lenses. I also really like that they include a free anti-scratch coating, free UV protection, and a free hard case and cleaning cloth. I love free stuff. They have a line of glasses ranging from $6-$10 – of course, I went there first. They had a surprisingly large selection in this price range! I quickly took a picture of myself, uploaded my prescription and then digitally tried on a few glasses. I wound up purchasing these adorable wayfarers for $9.95. Because I got a gray tint, it was an additional $4.95. After shipping, my grand total was only $19.85! 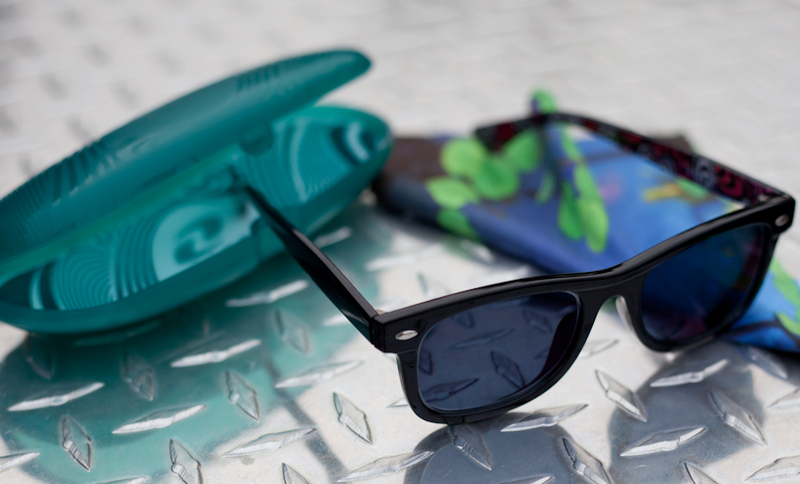 Every pair of glasses come with a free plastic case, lens cloth, UV protection, and anti-scratch coating. It took about 2 weeks for my glasses to be made and shipped to my house. I just got them yesterday and took a drive with them on, and I’m pleased with the results. While they aren’t real Ray-Bans, The style is adorable and the plastic frames are surprisingly sturdy for being only $10. I thought the hinges would swing loose, but they actually stay folded. Pretty decent craftsmanship! Since I had a good experience with Zenni Optical, I’m thinking of ordering a pair of Transition glasses sometime soon. 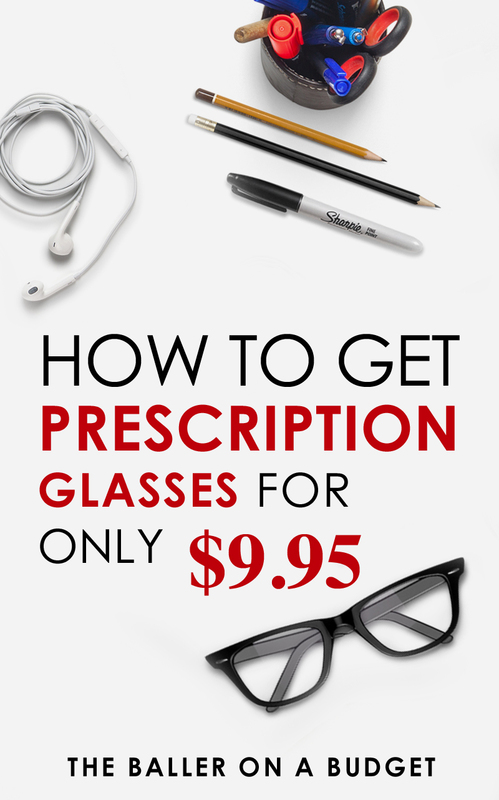 If you’re looking for an affordable pair of glasses, go grab your prescription from your optometrist and try them out!